For more than a year, various media outlets, journalists, and social media personalities have spun narratives outlining how special counsel Robert Mueller’s investigation is preparing major indictments of people affiliated with the Trump campaign for collusion with Russia through WikiLeaks’ publication of stolen Democratic emails. Story after story supposedly detailing damning new evidence obtained by the special counsel’s office has blown up, one after another. You would think that after having been burned several times, and watching fellow media outlets also get burned by anonymously sourced stories, many of these news organizations would be increasingly wary of such stories. You’d be wrong. Far from growing more cautious, many outlets have actually stepped up the pace of their publication of these fake news stories, something I detailed in a column just last week. Three months ago, it was the absurd “Paul Manafort snuck into the Ecuadorian UK embassy three times to meet with WikiLeaks founder Julian Assange!” by UK newspaper The Guardian. That story fell apart when people began to ask how Manafort managed to sneak unnoticed into one of the most watched buildings in the world. Who Assange meets and who gives him documents or receives documents from him is a subject of intense interest to the intelligence agencies of more than a dozen countries. One month ago, it was the resurrection by McClatchy of the completely debunked Steele dossier claim that President Donald Trump’s former lawyer, Michael Cohen, was in Prague in 2016 and paid off the hackers who supposedly stole the Democratic emails that WikiLeaks published. Based on anonymous sources who provided no evidence whatsoever for their claims, McClatchy’s reporters alleged foreign intelligence services had detected Cohen’s phone in the Prague area when the Steele dossier claimed he was there. This story also didn’t stand up to scrutiny. Weeks ago, it was the spectacular blow-up of a Buzzfeed story alleging the special counsel’s office had in its possession documentary evidence proving that Trump ordered Cohen to lie to Congress about a real estate deal to build a new Trump Tower in Moscow. That “scoop” didn’t even last two full days before being debunked by the special counsel’s office, which took the unusual step of releasing a statement disputing the key points of the article. Not only that, the reporters who co-authored the story together couldn’t even agree on whether they had seen any of the supposed documents or not. And recently, a long-cherished narrative propagated most enthusiastically by people like Rep. Adam Schiff (D-Calif.) died a most inglorious death when new evidence surfaced. It had been claimed for more than a year by Trump–Russia conspiracy theorists that phone calls to two blocked numbers that Donald Trump Jr. made around the time of that now infamous Trump Tower meeting between members of the Trump campaign team and Fusion GPS’s political operatives had been to his father. However, phone records now indicate those blocked numbers actually belonged to two close family friends—not the president. Mad scrambling ensued once The New York Times published this new information as desperate attempts were made to save the collusion narrative. Schiff went on Rachel Maddow’s show on MSNBC and said he’d continue to investigate these phone calls anyway because questions remained. This vicious cycle of hot new evidence that “proves” Trump–Russia collusion that turns out to be wrong or false has repeated itself endlessly. Nobody in the DNC News Media seems to learn anything from their constant failures in their craft. And now, on Jan. 28, the top official at the Department of Justice dropped the biggest new piece of evidence that shows the Trump–Russia narrative was never correct. 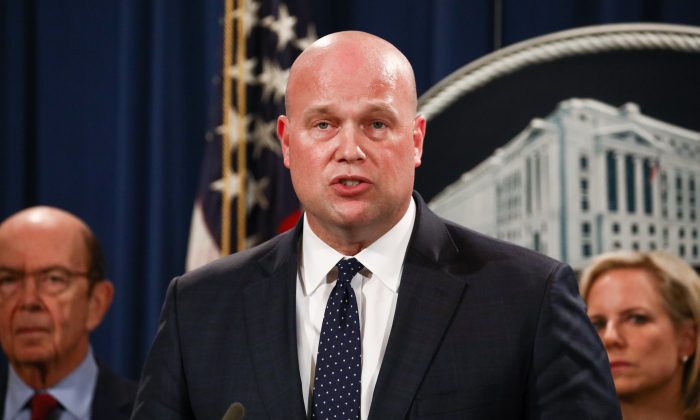 Acting Attorney General Matthew Whitaker held a press conference in which he announced a big indictment against Chinese telecom giant Huawei for breaking sanctions on Iran and stealing U.S. private sector technology. Although that was massive news, something just as big happened once he finished his official statement and began taking questions from reporters. Recently, oversight of the Mueller investigation passed from Deputy Attorney General Rod Rosenstein to Whitaker once the question of whether Whitaker needed to recuse himself had been resolved. So, of course, one of the questions Whitaker was asked had to do with his now being in charge of the special counsel’s investigation. Whitaker’s answer caused an immediate panic in some media circles because he clearly said the Mueller investigation was close to being completed and he looked forward to receiving the special counsel’s final report. “I have been fully briefed on the investigation and I look forward to Director Mueller delivering the final report. 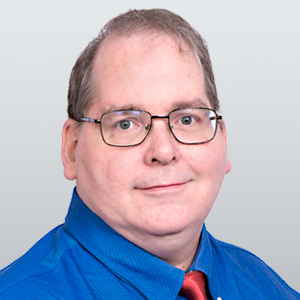 I really am not going to talk about an open or ongoing investigation otherwise, but the statements I’ve made were as a private citizen only with publicly available information. I am comfortable that the decisions that were made are going to be reviewed, either through the various means we have. But right now, the investigation is, I think, close to being completed. And I hope that we can get the report from Director Mueller as soon as possible,” Whitaker said during the Jan. 28 press conference. Whitaker’s answer simply does not fit the narrative that’s been spun by so many in the news media, that Mueller’s investigation is far from being finished and that he is actually about to roll out a whole slew of new indictments based on the supposed mountain of evidence he’s been said to have found linking the Trump campaign to Russia and WikiLeaks. Theories were enthusiastically spun for more than a year about all the supposed people affiliated with Trump that Mueller had pressured into flipping on the president and cooperating with the Russia investigation. It was reported in numerous news articles based on alleged leaks from inside the special counsel’s office that Paul Manafort, Lt. General Michael Flynn, Michael Cohen, and several others were giving extensive cooperation. That narrative has always been absurd. You’re being asked to believe that while all the leaks from inside the Mueller investigation that claimed to prove Trump–Russia collusion blew apart upon examination, somehow the very same leakers inside the special counsel’s office have been sitting on the real evidence and have not leaked any of it, waiting for some sort of grand revelation in the future. Can it actually be possible that supposed crack investigative journalists are this gullible? There was never any real Trump–Russia collusion to find because it never existed. Trump’s known this all along and that Mueller is in no position whatsoever to try to invent a Russian collusion case. Once Mueller closes up shop and hands Whitaker his final report, Trump and his team will, at last, begin to go on the offensive. Correction: A previous version of this article misstated the date of Attorney General Whitaker’s press conference. The Epoch Times regrets the error.